Thanh Ha took her 12 year old daughter Isabella Quynh Tien home to Vietnam to visit the country and also along with her to do charity work as a way for her daughter to understand and love the country more. 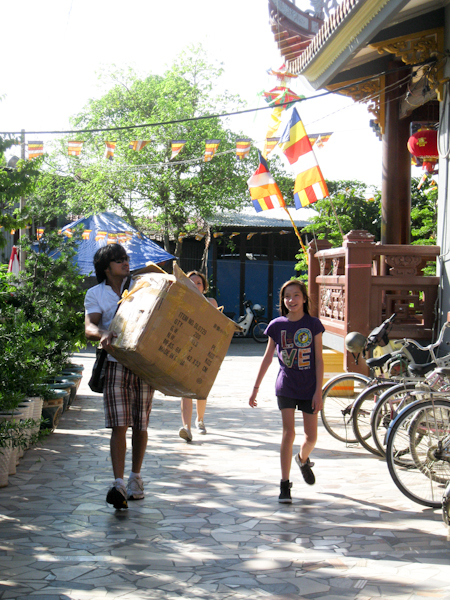 Arriving in Vietnam, Thanh Ha took her daughter out to the market to select and buy gifts for the charity trip. Then the mother and daughter spent the night sorting out the items and wrapping them in preparation for the next morning leaving at 7 AM. The reason that Thanh Ha chose to start early is because she has to get done in time to return back for a tour. The singer does not much time on hand. Thanh Ha wants to bring her daughter along to understand that in life there are many difficult circumstances that need helping and hope she learns the lesson of a compassionate heart. 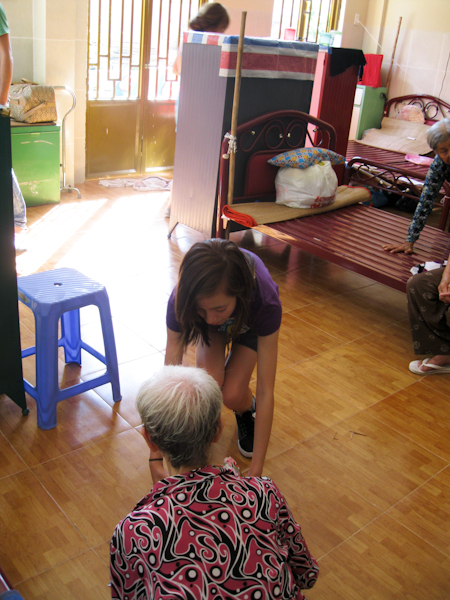 Recently returning to Vietnam and new to the time zone, Isabella is very enthusiastic helping her mom, Thanh Ha. The 12 year old is very energetic, talkative and intelligent. Isabella helps her mom carrying the items, giving them out to the children and is always smiling. 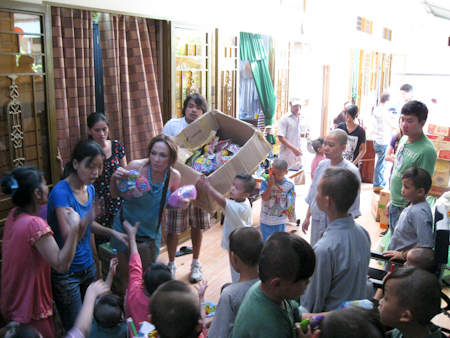 During this charity trip, Thanh Ha brought 75 gifts and 50 billion VND in cash to donate to the single elderly and orphans. The total cash and gifts came from Thanh Ha and also two generous overseas people, Peter Hoang and Nguyen Si Giang. "They are generous Vietnamese people who wants to contribute in effort to help fellow Vietnamese in the country who are less fortunate," shared Thanh Ha. Khong co gi lam mot nguoi dep bang lay phuoc troi ban cho minh, roi cho lai nguoi vo phuoc, ngheo tan...Thanh Ha that dep be trong bang be ngoai.